Stocks are lower this morning after GDP came in a little better than expectations. Bonds and MBS are up small. The second revision to fourth quarter GDP came in at 2.2%, a bit higher than the estimate of 2%, but a big drop from the Q3 reading of 5%. Personal consumption rose to 4.2%, a strong reading that bodes well for growth going forward. Government spending was down, driven by a 12.4% drop in defense spending. Business inventories were revised downward as well. Private capital expenditures slowed their rate of growth as well. In other economic data, the ISM Milwaukee Index came in at 50.32, a disappointment, while the Chicago Purchasing Manager index fell sharply from 59.4 to 45.8. 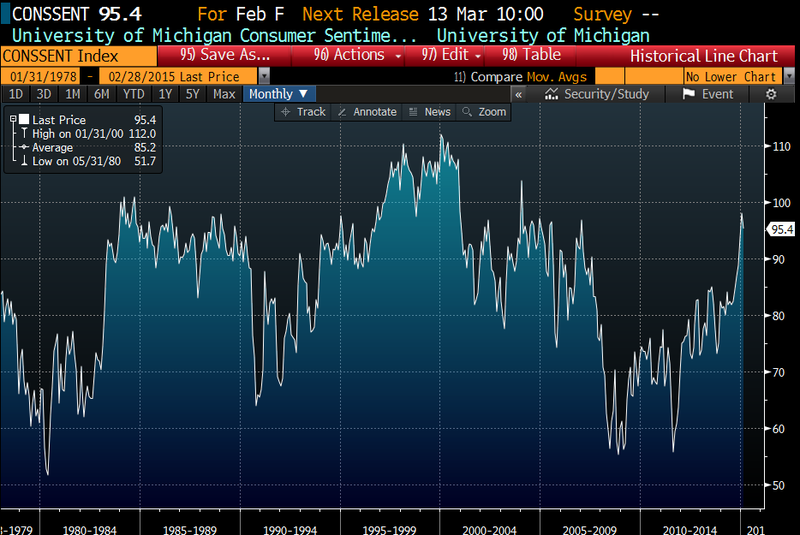 The University of Michigan Consumer Sentiment index rose to 95.4. These consumer confidence indices are driven by gasoline prices for the most part, but the numbers are encouraging nonetheless. We are back to boom-time levels. This is being confirmed by the strong personal consumption numbers this morning. Why is Germany worried about government spending when it is getting paid to borrow? Switzerland, Sweden, and Denmark are imposing negative interest rates on bank deposits. Separately, are these ultra-low rates creating issues that will blow up later? We are in uncharted territory, and while everyone hopes that the world’s central banks can stimulate the global economy without causing another crisis, that is no sure bet. The stock market seems blithely oblivious to this possibility, however and that is another issue. 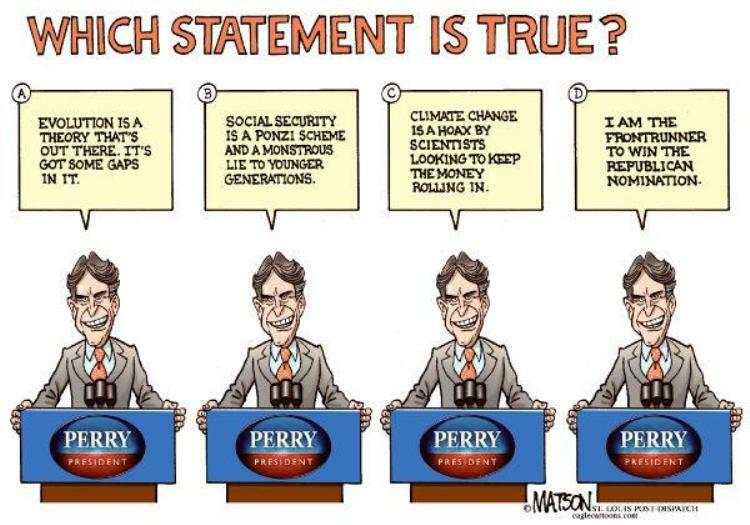 I am wondering if this will all come to a head in time for the 2016 elections. Monetary policy acts with a lag, and if the Fed starts tightening in June, the effects will start kicking in by summer of 2016. We are starting to see more evidence of improvement in the labor market with small business, which has been the engine of job creation historically. We are actually beginning to see the unwind of a strange dichotomy. The stock market had been flying over the past few years, yet things have been pretty gloomy for the economy overall. To the average American, it didn’t feel like the stock market was at record levels – it didn’t feel like 2005 or 1999. The reason for this was that the big S&P 500 names had lots of international exposure, which was driving earnings and the indices. Not only that, they could borrow at exceptionally low rates, while smaller business was subject to tighter credit. As Europe weakens and the US dollar increases, the international divisions are having a rougher go of it, while US domestic focused small business is benefiting from a turnaround in the US economy. Markets are flat this morning on no real news. Global bonds continue to rally, but Treasuries are not really participating. Inflation remains largely muted, with the Consumer Price Index falling .7% in January. Ex-food and energy, it rose .2, a little higher than expectations. On a year over year basis, inflation ex food and energy increased 1.6%. Durable Goods orders rose 2.8% in January, rebounding smartly after a very weak December. Capital Goods (a proxy for business capital expenditures) rose .6%. Initial Jobless Claims rose to 313k last week from 282k the week before. The Bloomberg Consumer Comfort Index fell from 44.6 to 42.7 last week. Home Prices rose .8% in December, according to the FHFA. Home Prices are now about 4% from peak levels. The report has been expanded to include all sorts of additional data. The growth continues to be on the West Coast, while the Northeast lags. Delinquencies and foreclosure rates dropped in Q4, according to the MBA. For the most part, we are back at pre-2007 (or pre-crisis) levels. Judicial states still have 3x the foreclosure rate as non-judicial states. 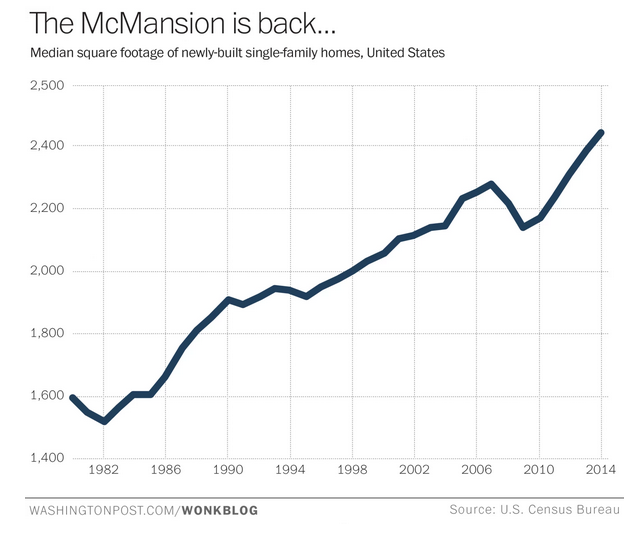 The McMansion is back. The median square footage of new homes topped 2,400 square feet last year. Builders are chasing the affluent because the first time homebuyer is still largely out of the market. That said, some builders, like D.R. Horton, are introducing new brands that are in the first time homebuyer price points. How much slack is there really in the labor market? Are wages rising because of a shortage of labor in some areas? If so, then that means (a) the speed limit of the economy is lower, because more people working = higher output, and (b) the Fed will have to move earlier than they may want to in order to quell inflation. If these discouraged workers return to the labor force, downward pressure on wages will continue, however in the long run, output will be higher. This issue was discussed in the June 2014 FOMC minutes, but it hasn’t been brought up since. Markets are down small this morning as we go into Day 2 of Janet Yellen’s Humphrey-Hawkins testimony. Bonds and MBS are flat. New Home Sales fell to 481k from 482k in December. We are still at something like 34% of peak levels during the bubble, which is a historically recessionary level. Toll Brothers was somewhat bullish, and it seems like the spring selling season is improving, but tight inventory remains an issue. Given that builders have pushed price hikes about as far as they can go, in order to boost revenues, they will need to push through more units. Mortgage Applications fell 3.5% last week. Purchases were up 4.6% while refis fell 7.5%. Rates jumped a lot for jumbos – from 3.92% to 4.09%, while the 30 year FRM forse from 3.93% to 3.99%. The 10 year picked up 6 basis points in yield last week as well. Mortgage rates did not follow Treasuries down during the plunge of late January, and therefore had held steady as rates went back up. It looks like we are back to mortgage rates moving with Treasuries. Not sure what is going on in jumbos, though – that is a big move. Janet Yellen’s prepared remarks pretty much revealed nothing new. “Patient” still means 2 FOMC meetings. She came out strongly against the “audit the Fed” movement, pointing to 1970s inflation as the result of Congressional meddling in monetary policy. Elizabeth Warren laid into her like a prosecutor on cross over of matters, even getting Yellen to roll her eyes at one point. There was talk about possible regulatory relief for small community banks. For the most part, it was a non-event. Day 2 continues today in front of the House. Mortgage REIT Annaly Capital reported better than expected earnings yesterday. It looks like they made few adjustments to their portfolio. Their conference call is later today. Annaly is a big player in the TBA market, which is the starting points for loan pricing. Big Box Home Improvement Retailer Lowe’s reported good numbers this morning as home improvement continues to drive sales. Can’t afford a new home? How about a new kitchen? Retailer TJ Maxx is raising wages to $9.00 to compete with WalMart in attracting and retaining the best talent. While we are still nowhere near seeing anything that could be considered “wage inflation,” it appears we could be laying the ground work for it. 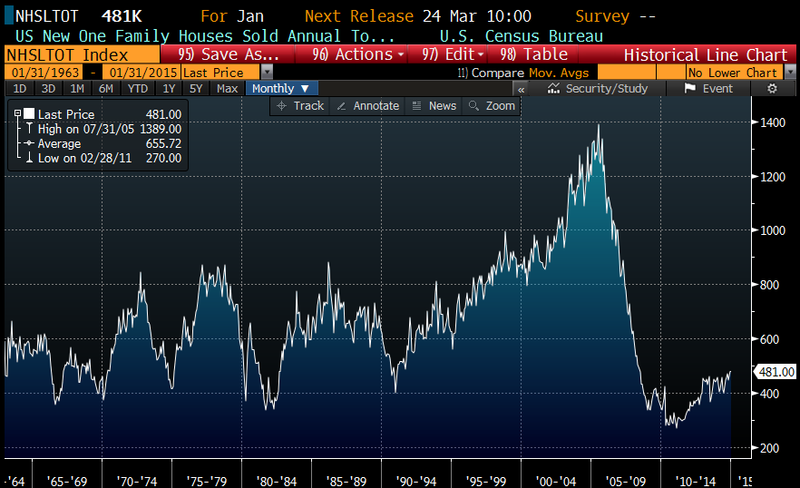 Wage inflation and new home construction are the last pieces to the puzzle for the US economy. Markets are lower this morning in spite of a loan extension for Greece. Bonds and MBS are up small. Existing home sales fell to a 4.82 million unit pace in January from an upward-revised 5.07 million pace in December, according to the National Association of Realtors. Inventory is still tight at 4.7 months (6.5 is more or less a balanced market), but it is up from 4.4 months in December. The median home price is $199,600, an increase of 6.2% year over year. All cash transactions were 27%, down from 33% a year ago, and distressed sales were 11%, down from 15% a year ago. Janet Yellen will make her semiannual trek to the Hill to discuss monetary policy in front of Congress. The prepared remarks will undoubtedly be closely parsed, and the sense on the Street is that Yellen wants to lower expectations somewhat for a June rate hike. Aside from that, HH is generally a waste of time for market watchers. These are generally for the benefit of politicians who like to use it as a platform to pontificate on issues important to them. The left will try to get her to agree with their views on inequality and the minimum wage, while the right will probably go after the long-term risks of ZIRP. It will be interesting to see if someone asks about the “audit the Fed” movement. She testifies in front of the Senate tomorrow at 10:00 am EST, and in front of the House on Wed.
A deal in the servicing field this morning: New Residential is buying subprime servicer Home Loan Servicing Solutions for $1.3 billion. HLSS has been examining strategic alternatives since last November, and the stock is up smartly. The servicing sector as a whole has gotten slammed from the Ocwen mess and the drop in interest rates. Speaking of servicing, Ocwen is trying to sell a 9.8 billion servicing portfolio to Nationstar. If the US economy is improving (and all evidence says it is), why are banks still piling into Treasuries? There are a couple of reasons. First, is Basel III. They were required by the regulators to increase their holdings of Treasuries. Second, if you look at the Bloomberg total return index on US Treasuries over the past year, they returned 8.8% in 2014. That includes periodic interest and capital gains. Compare that to the typical rate on a business development loan, or a line of credit paying LIBOR + 200 or something. Treasuries are working. And given the yields in European bonds, and the strength of the dollar, there is an underlying foreign demand for Treasuries. Yes, at some point Treasuries will become an awful bet, but that won’t happen until inflation kicks in and that isn’t happening at the moment. Markets are lower this morning as the EU / Greek kabuki dance continues. Bonds and MBS are up. The Markit US Manufacturing PMI Index rose to 54.3 in Feb from 53.9 in January. Good reading, given the fact that the Northeast got slammed with snow all month. Greece is set to run out of cash as early as next month, so the talks with the EU are increasingly important. Remember, this is all a kabuki dance. Greek voters want to stay in the Euro, and German voters want Greece to stay in the Euro. They will get a deal done, although bonds will be buffeted by the day-to-day headlines. Megan McArdle on why Wal-Mart raised wages. It was not due to labor activists – it was a business decision to try and minimize turnover and motivate employees. This is good news for wage growth in general, as companies may be forced to raise wages to compete. The great stagnation might be ending. Markets are flattish after Germany rejected a loan extension request from Greece. 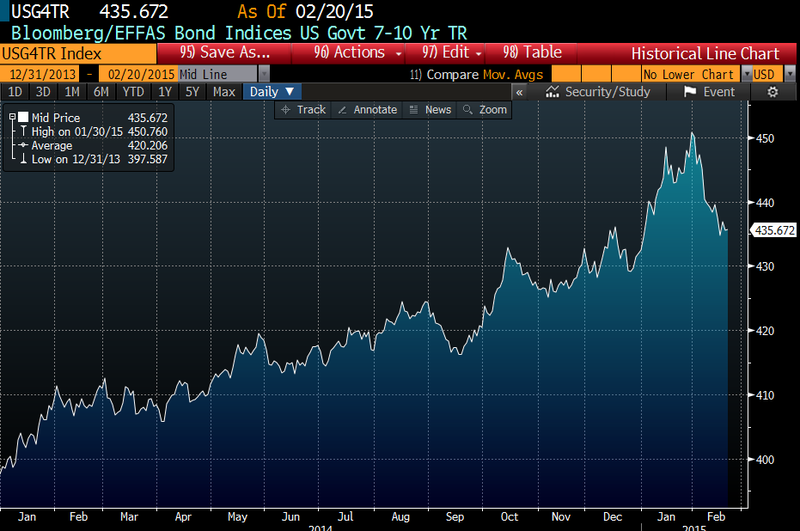 Bonds and MBS are flattish as well. Initial Jobless Claims fell to 283k last week, which is a good number given the drop in oil prices. Eventually layoffs will start in the energy patch. The Bloomberg Consumer Comfort Index rose to 44.6 last week, while the Philly Fed fell and the Index of Leading Economic Indicators ticked down from .5% to .2%. WalMart reported Q4 earnings that beat analyst expectations. The biggest news out of it, is that WMT is increasing starting wages to $9.00 / hour in April and by Feb next year, all current associates will be making at least $10 an hour, If this is due to market pressures, then that is great news for the economy. If it was due to political pressure (though no one is taking credit so far) then it tells you less. The raise will be part of a larger program to streamline scheduling and other operational issues, and should cost about 20 cents a share over the next year. The minutes of the Jan FOMC meeting were considered more dovish than expected. Bonds rallied hard on the announcement, as it appears some members are beginning to get cold feet about raising rates this June. Janet Yellen and Ben Bernanke are students of the Great Depression and are probably going to err on the side of waiting too long versus tightening too early. Freddie Mac took down its numbers for Q1 GDP to 2.5% from 3%, raised 2015 origination forecasts to $1.3 trillion from $1.2 trillion, cut the forecast 30 year fixed rate mortgage rate to 3.9% from 4.2% and is predicting 3.9% home price appreciation. Forecasts for home sales (5.6 million) and housing starts (1.18 million) are unchanged. 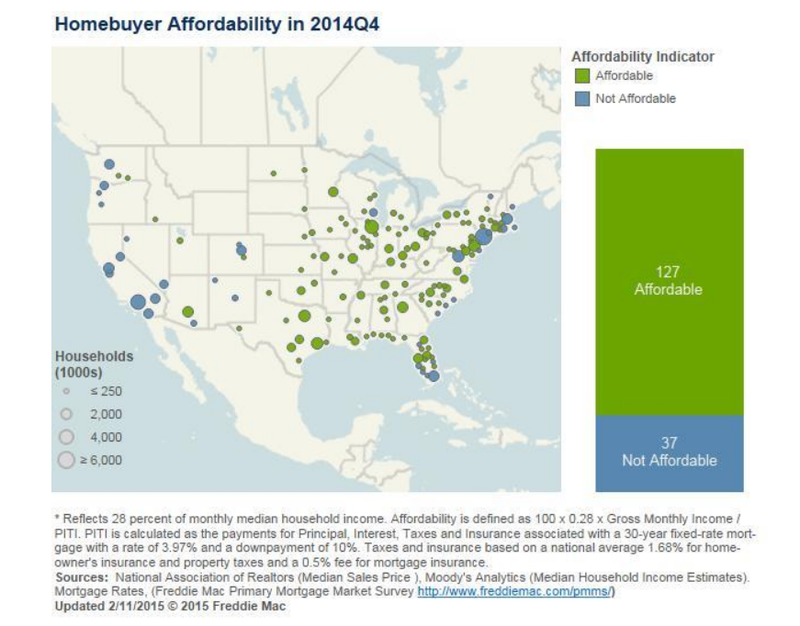 Affordability is still a tale of two Americas, with the NYC / DC / South Florida / West Coast being unaffordable, and the rest of the country being affordable.